I am tickled pink to present to you the Dishing it Up recipe hop along with this fine group of ladies: Thrifty Texas Penny, Mama's Money Tree, Deals From Ms. Do, Saving Myself Silly, Dearly Domestic, 20 Something Saver, The Happy Lil' Homemaker, Saving By Design, and Eating With MiMi. 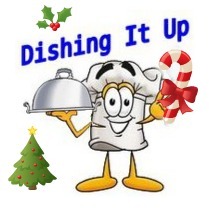 'Tis the season for parades and pageants and parties so this week we are linking up freezer cooking ideas to help ease your Christmas busyness. One of my biggest helps during the holidays is having food in the freezer that I can whip out at a moment's notice for those unexpected guests. Sausage Balls are one of those foods - easy, fast, and tasty. Don't forget to check out the Brookshire's gift card giveaway!